scrappin it: Welcome to my NEW website! Wow! I can't believe it's finally happening. I have been working on this website for a long time. especially in the past two weeks. I'm happy and thrilled to welcome you to my new creative home and guide you on a grand tour special post! There are so many new things it's hard to know where to start. Under the new header a welcoming message that will be updated periodically to let you know about all the new exciting things coming your way! Then the last three blog posts are listed for easy access. message. Under that little buttons all linked to my online sites for easy and fast access. Click on them to find my Pinterest boards, Instagram, Google+ and Facebook pages, Twitter and Youtube. You can subscribe to some or all for lots of crafty inspiration and tips. Next in line is the NEW newsletter sign-up form. 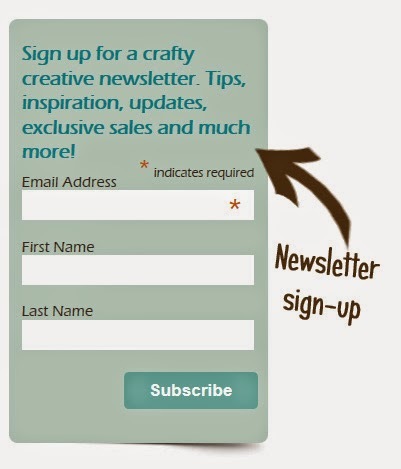 The crafty creative newsletter will be full of tips, inspiration, updates, exclusive sales and much more. You will definitely want to join! The crafty goodness just keeps coming! The NEW online classes tab will lead you to the online classes page. Three classes are available now, one of them completely free!! I promise this page will fill up...fast! A few of you who will register for a (full price) online class will get a special surprise, so you don't want to wait...the offer is for a limited time only! My NEW Etsy shop is another thing I'm proud of. It is still kind of small but I'm planning to fill it with a lot of the projects you watch me create on my video tutorials and some of the steampunk and other materials you have been asking for! Continue down the side menu and you'll see even more crafty yummies! First is the FAQ tab where all your questions are answered including a list of products I like to use with links to where you can get them. These are affiliate links that pay me a small commission if you purchase an item through the link on my website. 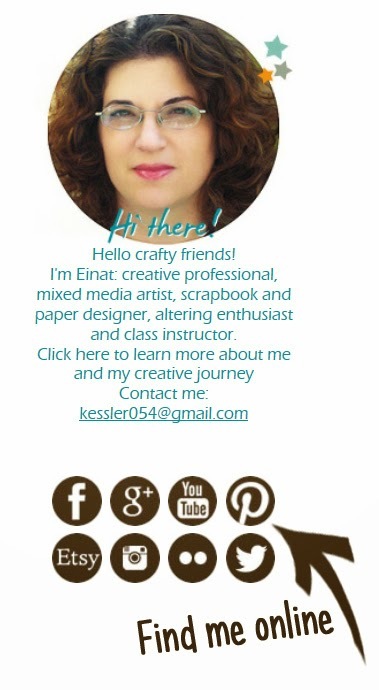 This commission will help share all my crafty adventures with you! 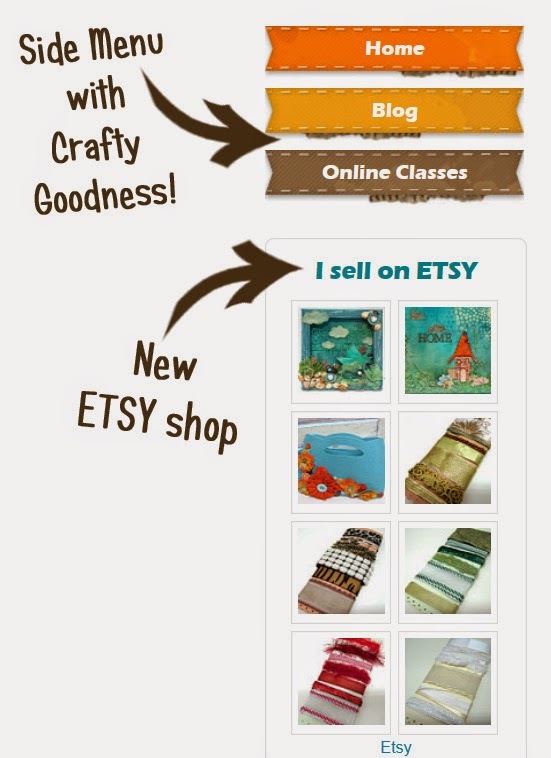 Please Help Spread The Word by grabbing the fun blinkie or share the shareable image on the Spread the Word tab so more people could enjoy the crafty goodness! You can access all my YouTube videos by clicking the tab as well as my gallery. 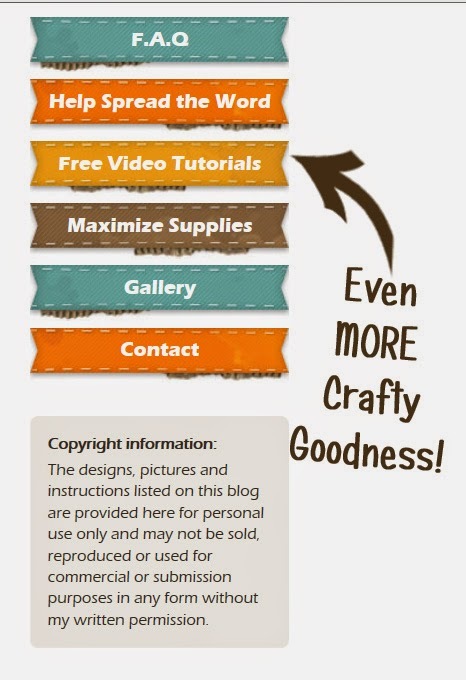 The Maximize Supplies tab will take you to a special resource center full of information about how to maximize your supplies, save money, organize your craft space or room, get good deals on craft supplies, create your own supplies and so much more! This resource will be constantly updated so you will want to check in so you'll not miss out! Leave me a comment telling me about your website experience! Thanks for visiting and Have fun Creating! Your new website looks amazing. Congratulations on this new adventure. Congratulations Einat! It looks wonderful! 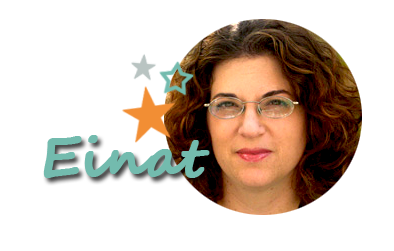 Love your new website Einat. Congratulations! Excited to be a part of your journey! 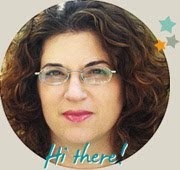 Your website looks terrific, Einat. Super colors and I love the banner. I did want to let you know that none of the buttons you show in your post come up in the side bar. Your picture and greeting and the newsletter sign up are the only items I can see. Hi Einat! I have been silently stalking you on facebook for a long time. 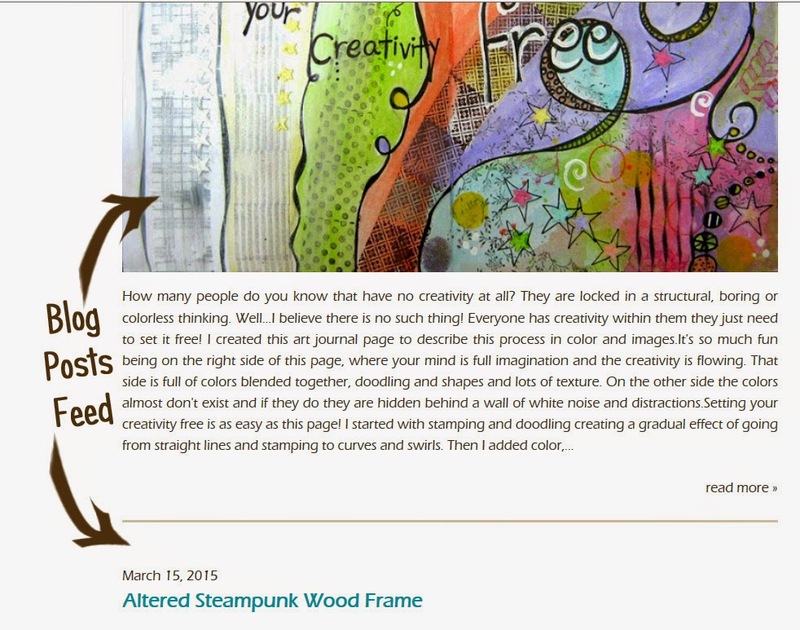 I find your mixed media projects very inspirational! Congratulations on the new website. It looks fabulous! Your site is exceptionally eye-catching, and I congratulate you for taking the plunge and setting it up. Having a website is a great way to capitalize on your personal brand and show fans of one of your many talents that you also do other work they might like. You're sure to increase your viewership and sales this way. Wow! I love your new website - especially the steampunk colours and vibe. Great to have all your links (Pinterest, Instagram, Etsy, etc.) so easy to find and access too - I might steal that idea for my own website. Good luck with the new venture, you've made a fabulous start and I look forward to seeing what's coming next.